If you are a Mac user, then you are in luck. You can use the free video editor offered by Apple, which is the iMovie. It is easy to edit YouTube videos in iMovie. All you need to do is to follow the simple steps below. In this article, you will learn how to import video, organize videos, add YouTube title and add transitions. There's a better way to edit YouTube videos. It involves the use of Wondershare Filmora for Mac. It is user-friendly and allows beginners to make videos professional-looking videos. The software has more than 300 video effects for family, wedding, love, and travel, etc. You can also add animated captions to photos that will help tell the story. It comes with an array of intro and credit templates that will enhance your video. Lastly, you can easily share the resulting movie on YouTube, DVD, other iDevices, and a lot more. iMovie is the built-in video editor that allows you to combine several video clips. It is available for both the Mac and iOS devices. The app was first released in 1999 when it came with the iMac DV model. With the use of the tool, you are able to create movies that include sound effects, menus, transitions, titles, themes, and music, just to name a few. The resulting movie can be saved onto physical media or as a file on the hard drive. 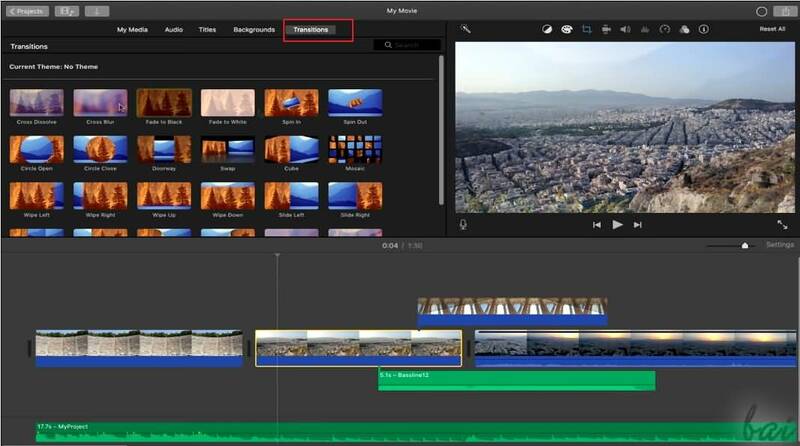 If you want to know more about iMovie editing tips, then check out this article: How to Join Clips in iMovie. If you have recorded the video clips with the use of a video cam, then connect the camera to the Mac and open the app. You can import the videos by manually selecting the clips that will be part of the YouTube video. Note: If you want to import videos that you have already published in your YouTube channel, then you can download them from the channel, and save them as MP4. However, if the videos were uploaded by other users, then you need to use a video converter, this articlw will let you know 8 best video converter to convert video in MP4. Once you have all the clips that you need, the next step is to edit YouTube videos in iMovie. When you import the clips, you have created an Event in the app. If you want to include a clip in your final video, just drag the file to the project browser where you can edit the video. You can also add videos from other Events into the current project. You can select the parts of the video by dragging across the video from the chosen start to stop points. Edit the video until you are satisfied with the results. Once you have edited the video, you can then add background music, themes, sound effects, onscreen text, transitions between clips, and photos. The best thing about iMovie is that it comes with a sound effects library. It also allows you to upload audio from your iTunes library, iLife, and GarageBand. iMovie allows you to add text to any part of the video, whether it is a title screen at the start, credits at the end, and everything in between. Try to enhance the video until you think it is ready to be uploaded to YouTube. Add YouTube title: If you want to add title for YouTube title, all you need to do is clik Title in the toolbar, and then hightlight My Movie on left. From here, enter the title you like. Organize videos: You also can rearrange video clips in timeline. Just drag the video on the timeline to wherever you want. Add transitions: If you have more than one video clips, you definitely need transitions between them. Click Transitions tab, and then select one transition you like. In then end, drag it to stop between two clips. When you edit YouTube videos in iMovie, you have the option to export the video straight to the video streaming website. All you need to do is to click on the Share button found at the top of the screen. Then select YouTube. Add your YouTube account in iMovies by entering your username and password. Then you choose a title, description, and tags for the video. You can choose the resolution and size of the video that include HD 720p and HD 1080p, mobile, medium and large. Click on Publish to upload the video to YouTube. Uploading the video will take several minutes to a couple of hours, depending on the resolution and size of the video.